SARASOTA, Fla. (November 14, 2018)- The century-old train car known to be the site of business transactions for the Ringling Bros. and Barnum & Bailey Circus has long been too fragile for visitors to step inside. The Wisconsin has faced conservation issues due to the discontinuation of spare train parts. Through a project led by the University of South Florida, it will no longer be limited to glancing through a window. During a presentation at the International Conference on Cultural Heritage and New Technologies in Vienna, Austria, Davide Tanasi, PhD, assistant professor of history, and Michael Celestin, PhD, senior research engineer, revealed 3D models of the train, including its luxurious interior, providing full digital access. In order to make this happen, they used digital photogrammetry and terrestrial laser scanning to 3D print furniture elements and metal components of the train undercarriage, allowing for the creation of spare parts for future restoration efforts. They printed using metal, wood and porcelain, closely mimicking the train built in 1896. It's 79×14 ft and includes three states rooms, a kitchen, dining room, servants' quarters and bathrooms. "The virtualization of the Wisconsin train car is the result of an innovative approach aimed to popularize through digital technology such crown jewel of Florida cultural heritage, currently partly accessible on site and basically digitally invisible for the remote public," said Tanasi. "What we tried to ensure is that we are able to take real parts out of service so that perfect weight and appearance replicas can take their place," said Celestin. "In so doing, we are able to further preserve the fragile antique components while being able to "adjust the slider" of time's patina on an object–stopping at as little or much age-related damage as we want. This time-machine approach to preservation allows you to very easily create a model of how a part would look if brand new today, and also allow realistic, 3D printed replacement parts to sit alongside their time-aged counterparts." 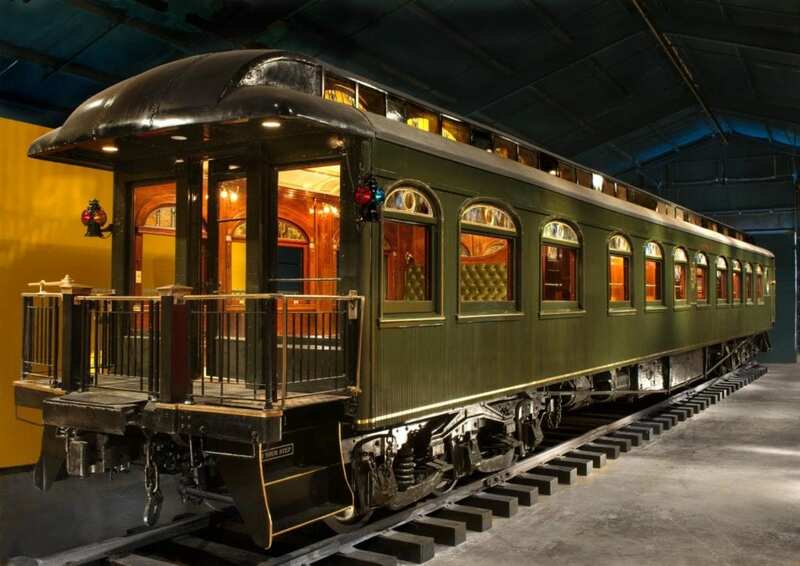 The Wisconsin was John Ringling's personal train car that traveled the country, often accompanying the cast of his infamous circus come to be known as "The Greatest Show on Earth," which ceased performance in May 2017. It changed hands throughout the 20th century, eventually landing at the Ringling Museum in Sarasota in 2003. Just prior, it underwent significant restoration to uncover the original paint, gold plating, and beautiful stain glass windows. Dr. Tanasi is founder of the Institute for Digital Exploration (IDEx) in the USF College of Arts and Sciences Department of History. IDEx also led a massive 3D scanning project of the 36,000 square-foot Ca'd'Zan, the one-time residence of John and Mable Ringling. "The mission of IDEx to document, preserve, and protect cultural heritage aligns with that of The Ringling, which aims to collect, preserve, and exhibit art for the benefit of the public," said David Berry, assistant director of academic affairs at The Ringling. "The technology employed by IDEx will be used to help The Ringling make its collections more accessible to visitors, on site and online."